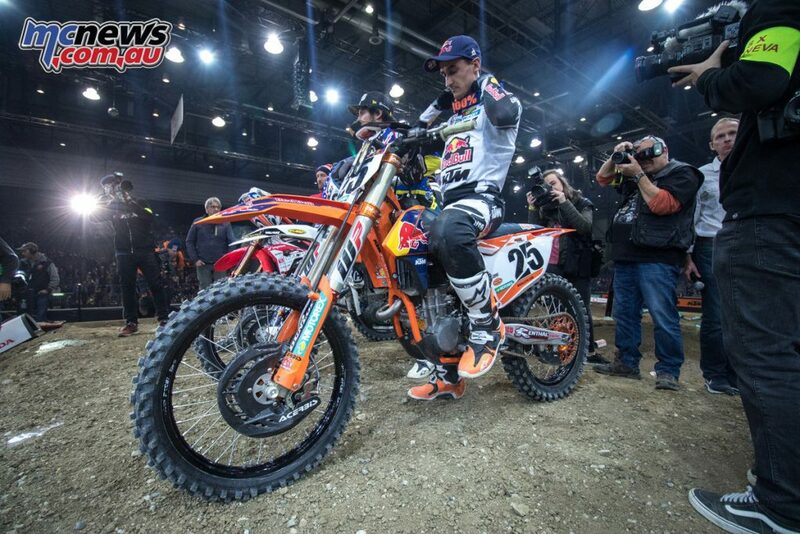 KTM’s Marvin Musquin proved a force to be reckoned with, as he heads towards the 2018 AMA Supercross season, with the French star taking his 450 SX-F to victory at the Geneva Supercross in Palexpo, and claiming the title ‘King of Geneva’ for the fourth time. Musquin triumphed on Friday night and then took advantage of slip by training partner Jason Anderson to win Saturday’s Main Event across a tight and rough layout by almost five seconds. 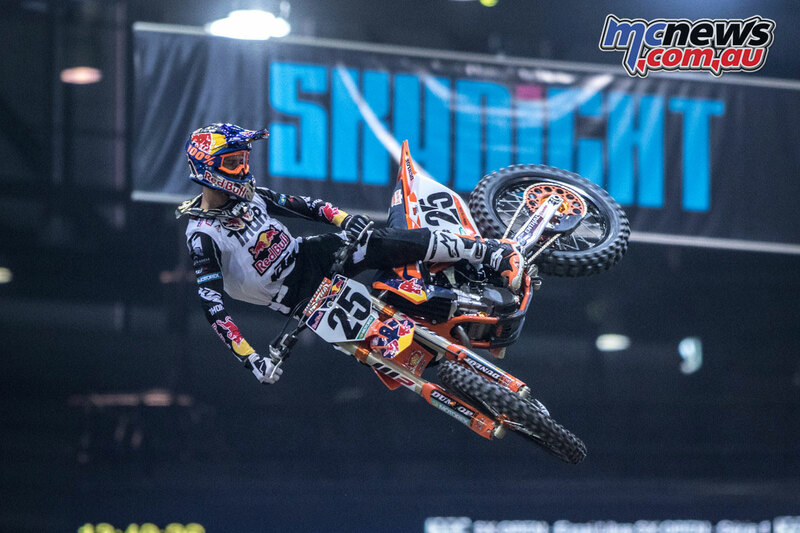 After victory in Las Vegas, the Red Bull Straight Rhythm, the Paris Supercross and now the last major dirt bike racing fixture of 2017, the 27 year old will enter the new supercross campaign in good form and confidence. 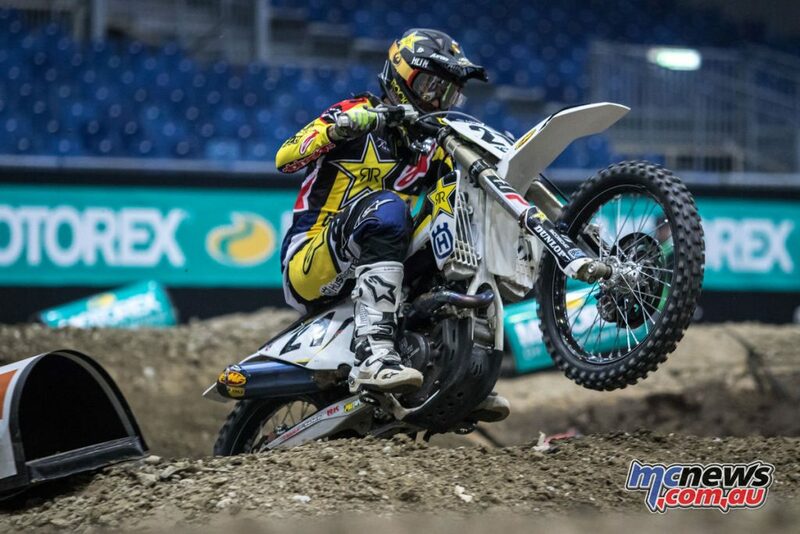 Fresh from his overall win at the Aus-X Open Supercross in Australia at the beginning of November, Jason Anderson brought his winning pace to Europe and the 2017 Geneva Supercross in Switzerland. 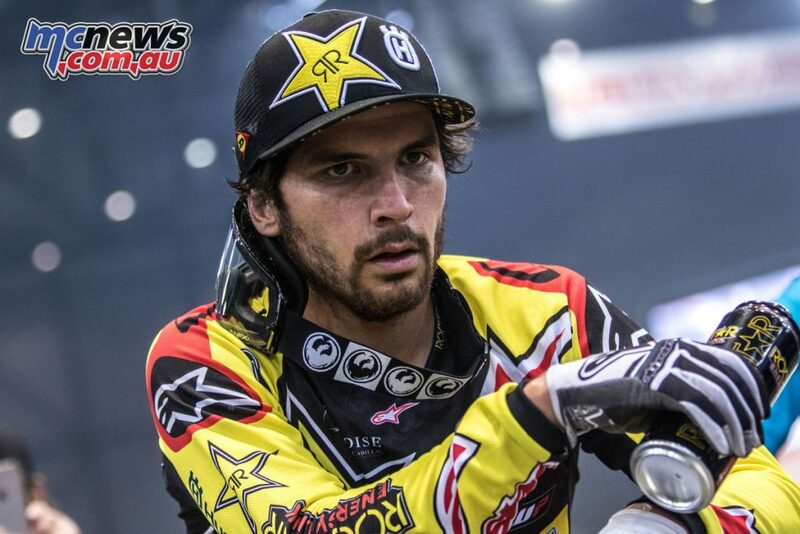 After qualifying fourth on Friday, he went on to win his heat race from fellow American, Justin Brayton. 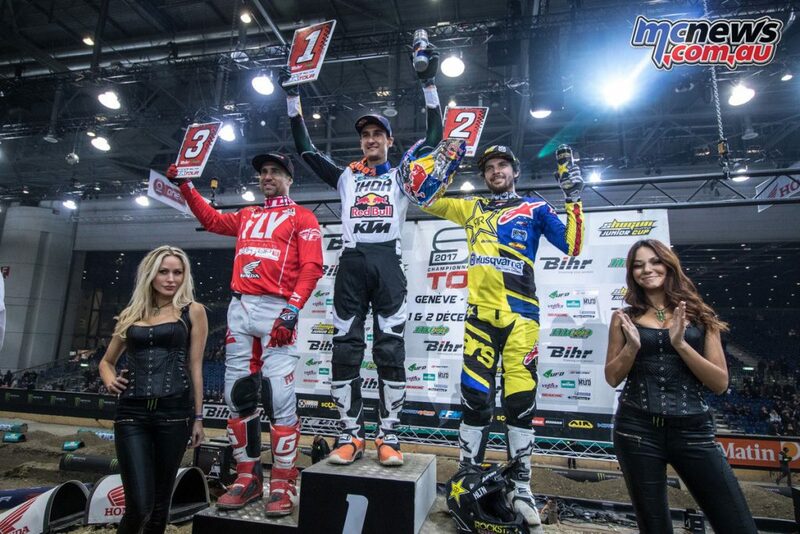 Going into the SX Open final, Anderson held the lead for the first two laps but was then passed by eventual winner, Marvin Musquin. The pair battled for top honours throughout the race with the Rockstar Energy Husqvarna rider finishing as runner-up at the flag, trailing the winner by only four seconds. Saturday also went well for Anderson as he won his semi-final. A great start from the gate in the final gave the Rockstar Energy Husqvarna rider the holeshot and the race lead during the first few laps. 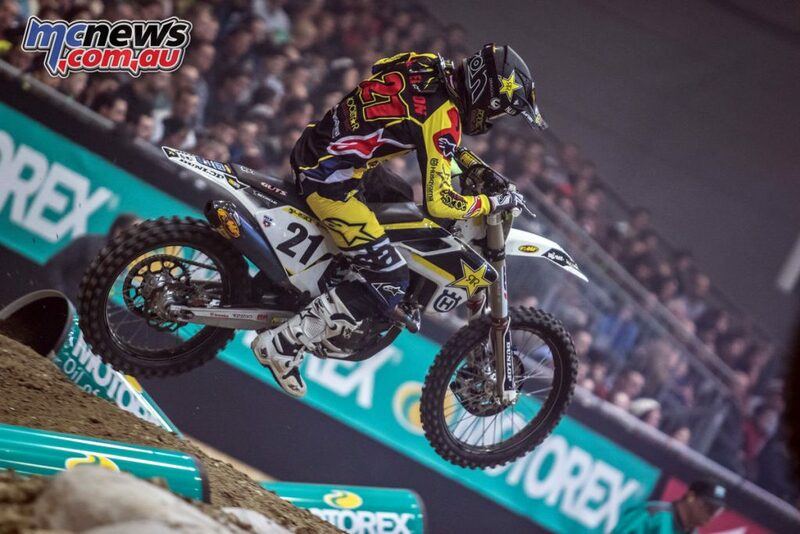 Setting a good pace at the front, Jason and second-placed Marvin Musquin soon started to gap the rest of the field. 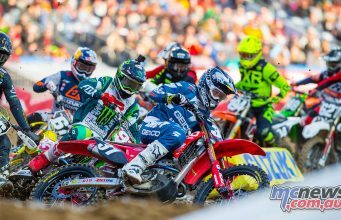 Unfortunately, a small mistake on a slower part of the track resulted in Anderson dropping his bike and losing the lead. 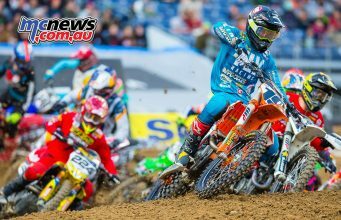 Despite remounting and fighting hard to catch Musquin, there wasn’t enough time left and Anderson crossed the line as runner-up, just two-and-a-half seconds from the win. 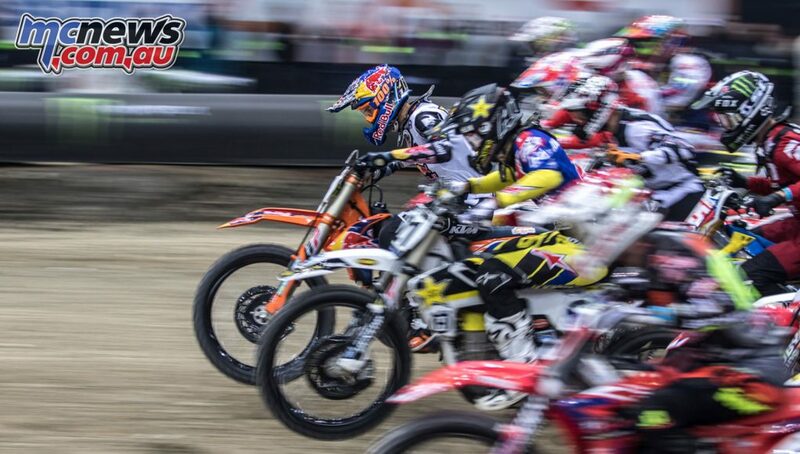 Round one of seventeen in the 2018 AMA Supercross series – also an FIM World Championship – begins at the Angel Stadium in Anaheim, east of Los Angeles on January 6th. 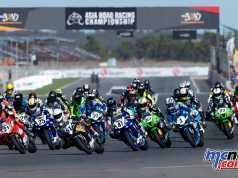 Previous articleFour ASBK classes to run with WorldSBK at P.I.